I'm in total print mode right now. The print I'm working on has a few words in it and I can't wait to show you. I'll give you a hint, it's a nice saying we're all familiar with. I wanted to have type because I love typographic prints. It can be a print with a sweet design of either one letter or a thousand words, and I'll easily fall for it. It's as simple as that. So here are few prints that caught my eyes recently. 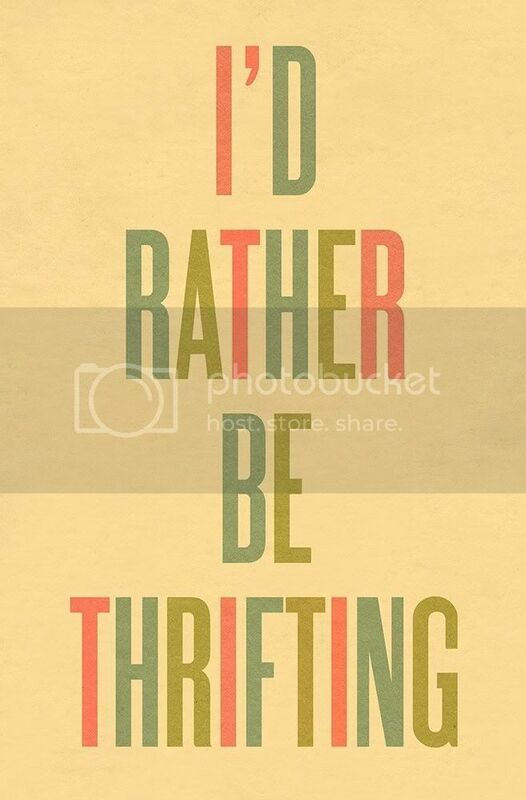 The I'd Rather Be Thrifting print is so me and I need it, don't I? So jealous—why didn't I think of it? 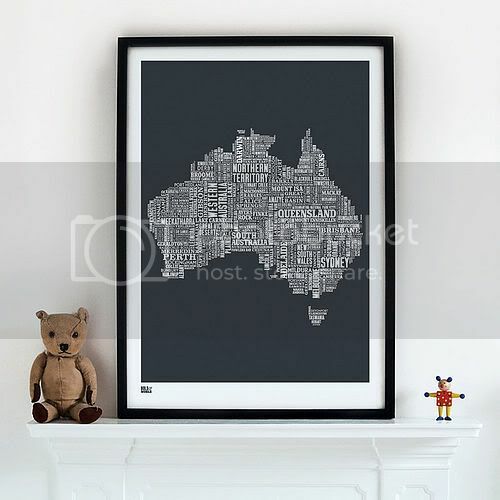 I also like the "Australia Type Map." I read Bill Bryson's In A Sunburned Country before visiting my buddy (hi Jax!) in Sydney last February and I fell in love with everything and everyone there. 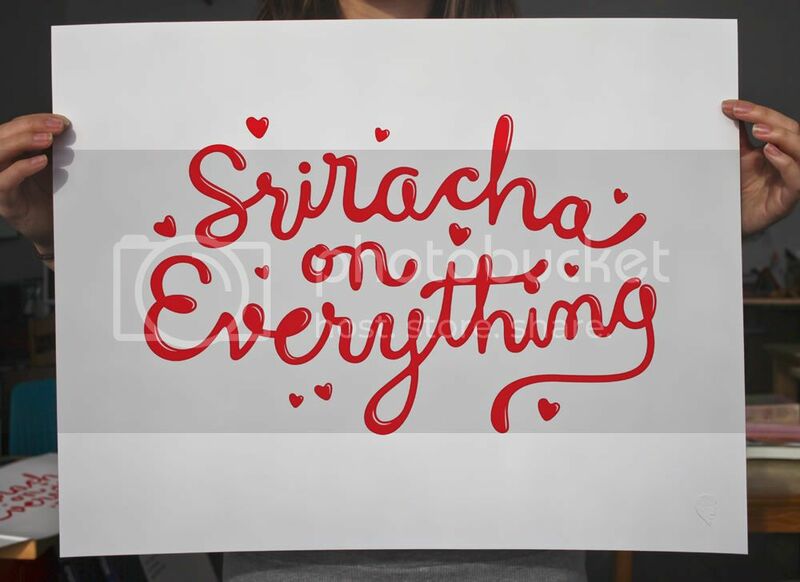 And Jessica Hische's print Sriracha on Everything is delicious. I love me some spicy Sriracha on everything, seriously! Alright, enjoy the rest of your weekend. Find lots of thrifty goodies for me. I'm skipping the huge Rose Bowl Flea Market this month, oh well. I might have to take time off from the thrifts (say what?!) just to get my print shop started. I know, my home will look famished. Luckily, I picked up a few things that will last me through the coming week(s). Whew.